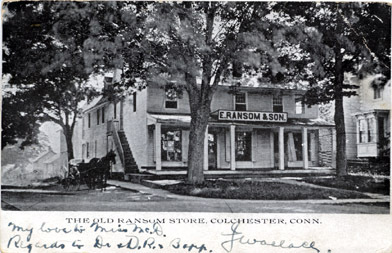 The Old Ransom Store, Colchester, Conn. Post Card with mark of Sep 1907. 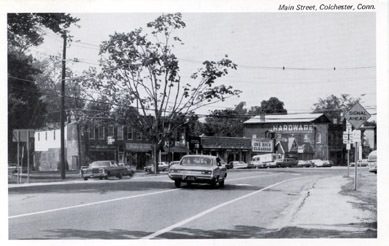 Merchants Row, No. 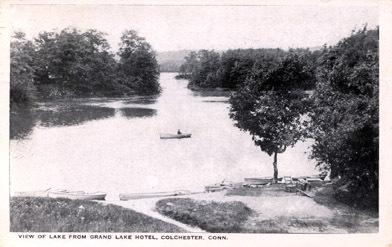 2, Colchester, Conn. Post Card with date written in on back of Dec 16th, 1906. 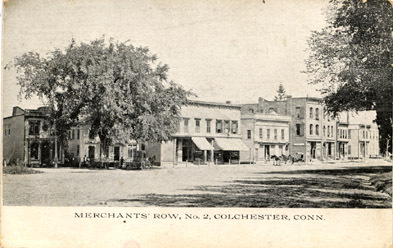 Merchants Row, Colchester, CT., 2000. 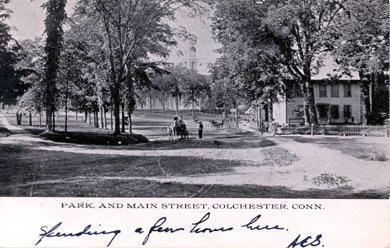 Park and Main Street, Colchester Conn. Post Card with post mark of Aug 27 ????. 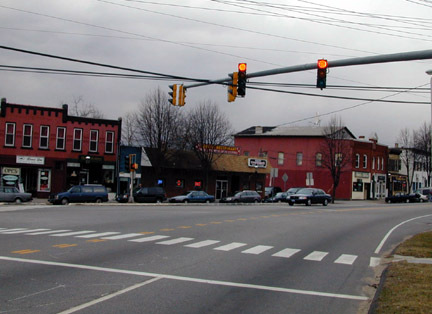 Park and Main Street, Colchester CT., 2000. 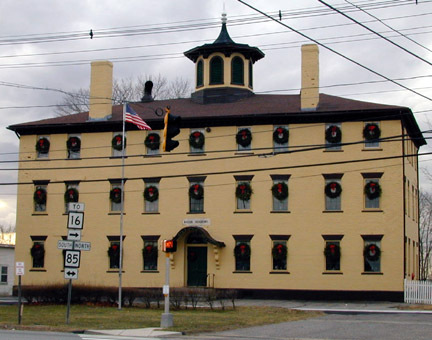 Congregational Church, Colchester, Conn. 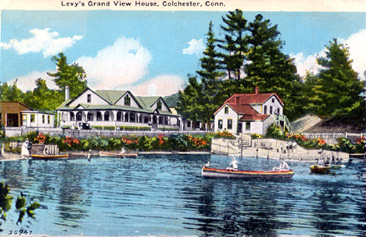 Established in 1703. 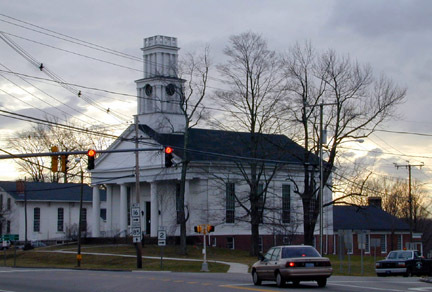 Congregational Church, Colchester, CT., 2000. 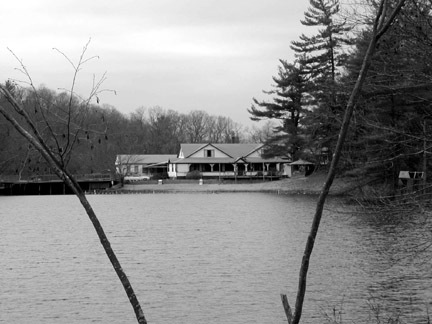 Bacon Academy. 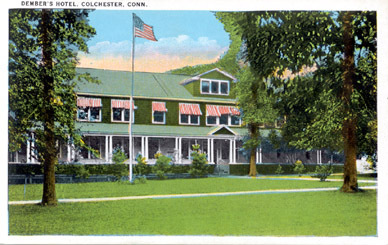 Colchester, Conn. 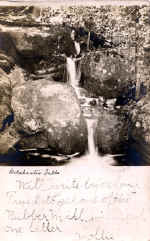 Founded in 1803. 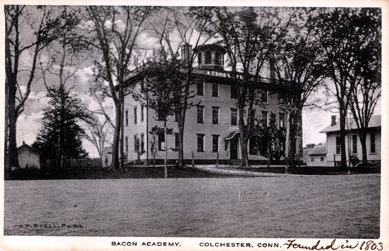 Bacon Academy. 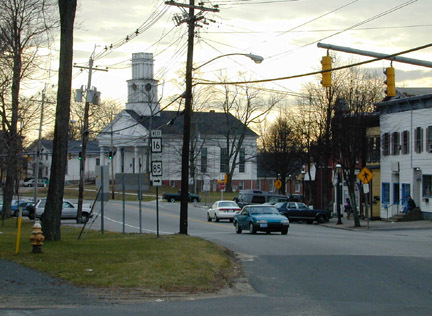 Colchester, CT., 2000. 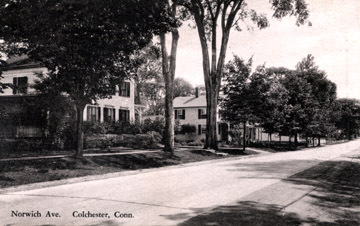 Norwich Ave., Colchester, CT. 1938. 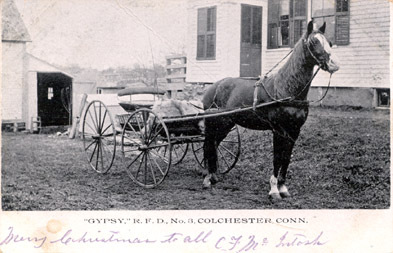 Colchester Falls., Colchester, CT. Post card is post marked Mar 21, 1906..
"Gypsy," R.F.D., No.3, Colchester, Conn.